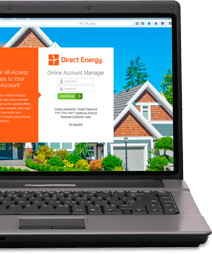 In many parts of North America, the winter months are directly tied to the year's highest energy bills. However, winter doesn't have to be a season of waste. By taking advantage of alternative heat sources, preparing your home for cold weather and investing in energy-saving technologies such as programmable thermostats or solar panels, you can stay warm and save energy! Secondary heating sources like fireplaces, wood burning stoves, space heaters, or electric blankets can produce comfortable heat for smaller, more targeted areas of your home at a fraction of the cost of turning up the thermostat for the entire home. They can be especially useful for heating rooms that tend to be cooler than the rest of your home, or for enduring the occasional chilly night in the southern United States where many homes don't have traditional furnaces. These heat sources also pose their own unique risks, and it's important to take safety precautions when using them. While it can't heat a whole home, the fireplace can provide a comfortable and aesthetically pleasing space for a few people, even if the thermostat is turned down to a cool temperature. Fireplaces and chimneys require regular maintenance, so conducting an annual chimney inspection and cleaning is crucial. A careful inspection can catch cracks that might leak dangerous gases into your home, and a thorough cleaning removes the buildup of creosote, a residue that can catch fire if ignited by a spark. Always keep the fireplace area clear of flammable materials and liquids and use a fireplace screen to prevent sparks and embers from escaping into the room. Use only natural wood or artificial fireplace logs. Never burn charcoal, newspapers or trash in your fireplace. Open the damper before building a fire and ensure the fire is completely extinguished before closing it again. 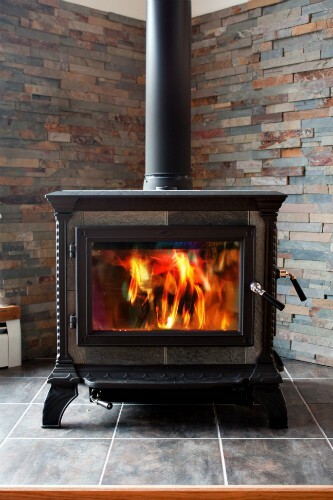 Though not as popular in the modern era as fireplaces, wood-burning stoves have their own aesthetic appeal and are still used as efficient heat sources in many homes and cabins. Like fireplaces, these stoves must be connected to chimneys, which require annual inspection and cleaning. Make sure the wood-burning stove is installed on a fire-resistant base and is clear on all sides from any flammable materials. Only burn dry natural wood or fuel designed specifically for wood stoves, such as wooden pellets. Don't let fires burn unattended. When it comes to safety, space heaters have come a long way in recent years. Some older models increased the risk of house fires, particularly models operated with liquid fuel. Today's space heaters are mostly electric and often have built-in safety features that turn the heaters off if they tip over, overheat, or have been left turned on for too long. Always operate heaters on a flat surface away from flammable materials and walkways. Plug heaters directly into wall outlets. Do not use extension cords or power strips. Dispose of a space heater if the cord or plug becomes damaged. Don't operate heaters unattended or overnight. As economical as they are cozy, electric blankets can provide comfort all night even with the heat down low. Operating electric blankets in multiple bedrooms can often be much cheaper than turning up the thermostat. Examine blankets before each use for exposed or damaged wires and dispose of blankets that have any damage. Avoid using blankets more than ten years old, even if they appear to still be in good shape. Consider using an electric blanket to pre-heat a bed and then removing it before going to sleep to minimize both operating costs and fire risk. It may not seem true during the coldest months, but the sun still appears during the winter. And on the sunniest days, many homeowners don't capitalize on this natural heat. Installing solar panels on your home's roof can capture this power, and it can then be used for heating water and other energy-saving tasks. Installing solar panels represents a significant investment, but homeowners will see the benefits of this change in the months and years ahead. Programmable thermostats offer a convenient way to reduce your heating bill. You can set a schedule to set your thermostat lower when everyone is away and use your smart phone to adjust it from anywhere. The Hive Active Thermostat is compatible with 95 percent of existing HVAC systems, so there's a good chance it's compatible with yours. All you need to get started is a router with a free Ethernet port connection and an extra power outlet. When cold weather strikes, maintaining a comfortable temperature in your home is as simple as turning up the heat. But since heat already accounts for about a third of a home's energy expenses, hefty utility bills aren't exactly welcome during the holiday season. Saving money on your energy bill means finding ways to stay warm without relying solely on the furnace. Cold air seeps into the home through the windows every day. Aside from closing them, try these 3 key steps to better insulate this area of your home. Inspect the window area for any cracks in the frame and apply caulk to form a seal wherever necessary. Insulate windows by applying plastic wrap over the face of the glass. This traps cold air that seeps through the glass and prevents it from entering the home. Keep the drapes closed whenever possible to further block cold air from spreading. Your home's windows aren't the only place where cold air can enter. Inspect your entire home and apply towels or blankets to close off doorjambs – or simply invest in some new weather-stripping for any doors that open to the outside. Close the flue on the chimney and close doors to any unoccupied rooms. This will keep cold air in those rooms so it doesn't travel around the house. Your basement can really eat up a lot of energy, simply because the heat pumped into it naturally wants to rise and escape. For this reason alone, it's vital that the walls and windows are properly insulated, even in unfinished basements. Rolls of fiberglass insulation are the most efficient solution. Read our article on insulating your basement to learn more. The warmer your family dresses, the less they will have to rely on your furnace to keep comfortable. Dress in layers during the winter and pay special attention to areas where warm air escapes the body, such as the feet and head. Use additional layers in the morning or at night to stay warm when it's coldest. Always observe the proper safety precautions when keeping warm and saving money in winter. For assistance with comparing secondary heating sources and/or checking the home's primary furnace, reach out to a local HVAC technician today. *Hive services require broadband and Wi-Fi.